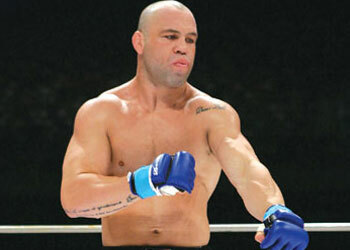 One could call Wanderlei Silva the Goldie Locks of MMA. For him, light heavyweight (205-pounds) is too big, and middleweight (185-pounds) is too small. However, the Brazilian states that 195-pounds is just right. Although conversations have taken place regarding possibly adding additional weight classes, the UFC doesn’t want to risk watering down their divisions for the sake of handing out more title belts, a la boxing.”[White] has got a lot of work,” Silva said about when he thought the UFC would seriously consider expansion. The former PrideFC 205-pound champion believes there are a lot of “tweeners” out there, caught in the middle of the large gaps between the UFC’s various weight classes. For now, he gets this one chance to shine at 195-pounds as he will be colliding with former UFC middleweight champ Rich Franklin this Saturday at UFC 99 inside the Lanxess Arena in Cologne, Germany. After the June 13th tussle, Silva isn’t sure what division he’ll be fighting in, but the 32-year-old wants to assure his fans that there are still many more sick fights to come.